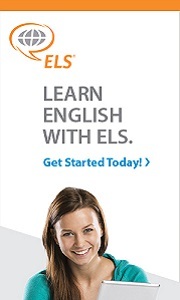 Maybe you haven’t considered an English language program and you think your English skills are just fine. But, if English is not your first language you should seriously contemplate completing an English language program, especially an intensive program. Mastering your English will give you a good foundation for your university education. 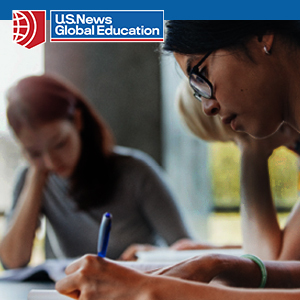 In an U.S. university classroom, you will be expected to participate in class discussions, share your opinion, debate and explain your reasoning, give class presentations and work in groups with your classmates. Class participation will be one of the factors that determine your overall grade for the course. You will also have a much easier time in your classes and a more enriched education with strong English language skills. Many U.S. colleges and universities offer full-time intensive English programs. An intensive English program must meet a minimum of 18 hours per week for students to qualify for a student visa. Most intensive programs provide 20-25 hours per week of classroom instruction. Students usually enter these programs at the beginning of the academic semester (term or quarter). It is important to note that intensive English programs are usually not part of the college or university’s academic degree programs; therefore you may or may not receive academic credit. Students enrolled in ESL institutes are not necessarily admitted to that college or university. Find out if university or college offers conditional admission and the requirements. Keep in mind that public colleges, universities and community colleges often cost less than private universities and colleges. It is important to do your research before choosing a school. Look at the schools listed in this copy of Study in the USA® and visit StudyUSA.com to read about individual schools; some of the descriptions are in several languages and you can contact the schools directly. Go to your local educational advising center for resources to help you identify schools that interest you. You are embarking on an exciting and rewarding adventure. Choose carefully, and you will have a wonderful, rewarding experience. Jennifer Privette is the editor and assistant publisher of Study in the USA. • Can you understand English when watching TV, movies or listening to songs but have problems trying to understand native speakers, even in basic interactions? • Do you have trouble understanding and using phrasal verbs and idioms naturally? • Does your pronunciation and accent make you feel nervous about speaking English in groups? • Do you feel your vocabulary is too basic to allow you to express all the ideas you want to present or discuss? • Have you prepared your TOEFL score but need experience expressing yourself in a U.S.-style classroom setting? • Can you read sophisticated articles and texts but still write in a basic way? 1. Think about what kind of program you want to attend. Do you want a serious academic program or a casual vacation program? 2. How much money can you spend on tuition, room, meals, activities, books, etc.? 3. Where do you want to go to school? 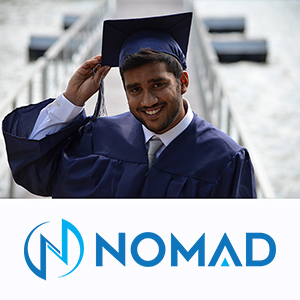 Do you want to study in a large city, small town, in a suburb, or in a particular part of the country? 4. Find out if the teachers are professionally trained and experienced language instructors. 5. What is the average class size? Ideally, classes range between 10-15 students. 6. What living accommodations does the program provide? Does the program make all housing arrangements for you, or will they help you find housing? 7. What services will the school provide: international student advisors, assistance with university or college admissions, orientation, healthcare, counseling? 8. What extracurricular activities are there? Are there clubs or sports teams to join? 9. What is the school setting? Is it a large or small school? 10. Does the school permit advanced level students to take classes at the university or a nearby college? 11. Is the school accredited? Many college and university ESL programs are accredited through their university or college.